We build innovative quality research and lead discussions addressing gender and diversity issues within the community, at a national and international level. 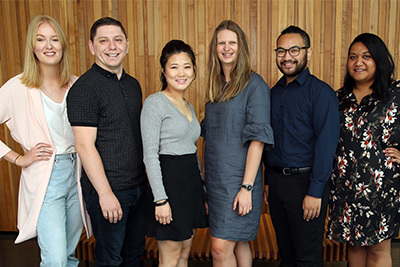 The Gender and Diversity Research Group was formed in 2007 with the aim of establishing a network of researchers within (and beyond) AUT University who share an interest in gender and diversity. Our members are available to supervise postgraduate students and we aim to encourage student research into related topics. Our events highlight gender and diversity research at AUT and internationally. Dr Barbara Myers, a Senior Research Lecturer in Management, at Auckland University of Technology features in the final episode of the Radio NZ podcast series, discussing women in the workplace. Barbara says that after taking time out to have children women often feel like they are behind and can’t meet promotional measures. “If a woman can have children, she has to create a whole lot of resources and structures around herself to be able to be on a level playing ground at work,” says Myers. Many women also opt to return to part-time work, and this creates another barrier for women in the workforce. According to Myers, it disadvantages a woman’s ability to accumulate brownie points and climb the career ladder. September 2018: This research report focuses on the challenges that middle managers in New Zealand’s public service encounter in progressing gender equity. Is the OE just for the young? Dr Barbara Myers was interviewed by Radio New Zealand, Nine to Noon programme about her research on older women in their 50s and 60s, who've opted to take a career break and travel or work overseas, and the experience they've had upon returning home. A letter in the NZ Herald about the intersectionality of age and gender that Jacinda Adhern has experienced simultaneously when she became leader of the Labour party.